Whenever I think of solar energy, I think of my small high school’s study using a small wooded building filled with brown clay pots. Our science department did not have much of an educational fund so they used what they had from the art department. So, they used the old tool shed and any rubble from the pottery class. In 1982, it was all strange to me. This small building was in the back part of our parking lot and if I’d pass it, it might have well been the new computer class or disco. Not much for me to grasp. What a surprise it is to see everything change now. A few years ago, I started using solar energy Christmas lights and cut my electricity bill in half! Now, I comb the internet and stores for anything I can afford. If I spend a little more now, it will ultimately save me money later. There are solar energy space heaters, deck lights I like to use on the porch of my apartment, even water heaters. The pastor at our church has his entire house rigged up to solar energy panels. Sure, that isn’t news to many but my research has expanded to find out people can look online to get the instructions how to build their own homemade water heaters. A family at my church just moved to Alaska where, I find out from watching Buying Alaska on the Travel Channel that people will live almost if not totally off the grid. One or more places were set up to solar energy not only to power their homes but to warm up their green houses. This led me to thinking where in the world would prosper the most from this special energy source. I was happy to find out the Africa does have solar energy companies. They could corner the market on solar energy and maybe replace oil in most areas. It would be great if they could create more jobs and housing that ran solely on solar energy. Some companies supporting solar energy in Africa are: Azuri Technologies, SolarWorld, Africa (Pty) Ltd. and The Bosch Group in South Africa. Not only can solar energy power lights but water pumps. As for me, I’ll collect as many solar energy gadgets I can. They may not be homemade water heaters or a building filled with clay pots but if it saves me money on my January electric bill, I’m placing an eager eye on it! Sheryl Knapp is a freelance writer and has been a single mom for over twenty-five years. In my opinion, I believe solar energy will be the way of the future since it helps to protect the environment and saves consumers money. Only time will tell! Thanks for sharing your post! 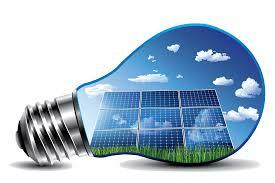 I can see more and more businesses and consumers turning to solar energy as the technology improves. I like the idea of solar energy and I hope it succeeds. I do worry about the fact that as an industry it is so heavily subsidized. In my opinion subsidies artificially create demand and reduce the need for suppliers of solar panels to innovate. This will only hold it back in the end.